Holistic Nutrition, the art of combining food, lifestyle and nutrients to create optimum wellness. 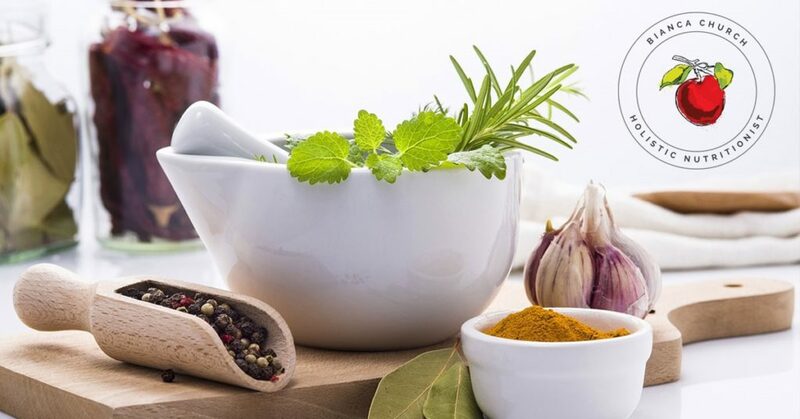 As a Holistic Nutritionist since 2005, with roots in Herbology, I have often wondered if the students of today’s holistic nutrition schools know where the profession of Holistic Nutrition came from or who the people were that founded the profession in Canada over 30 years ago. After all, Herbalists, Chiropractors, Homeopaths and Naturopathic Doctors all have their story, but I was unable to find an article dedicated to the story of holistic nutrition in Canada, so I decided Holistic Nutritionists deserved their own story. So, after some research, a couple of interviews, and questioning the right people I found that holistic nutrition in Canada has humble beginnings. There is a common theme among many of the leaders in holistic health. No matter what discipline they came from, they all recognized that a deeper connection to holistic nutrition and supplementation was needed to truly further an individual’s health towards optimum wellness. For example, Linus Pauling was a scientist but through personal experience he found that his own disease could be controlled with nutrition and nutritional supplements. Lendon Smith, a medical doctor, known for his use of nutritional supplements with children, and Joseph Kropp, also a medical doctor, who had the courage to treat candidiasis as a medical condition. Another notable influence were the Chiropractic professionals who started to include nutrition and supplements into their work. Each of these individuals or groups had their feet grounded in their own professions but each understood the power of food and nutritional supplements to nourish and heal the body. The message: good nutrition and supplementation are an important compliment to all forms of traditional or alternative health care. In Canada, I found that many of the people who studied Herbalism also incorporated holistic nutrition into their practice. As things evolved into the 80’s, however, some key people started to formalize their holistic nutrition work and made a break from using traditional dietetics. Like Linus Pauling, many of these people had their own personal health crisis that forced them to make a change in their nutrition. Through their experience they recognized the need for clean, organic foods, closest to their natural form, the importance of detoxification, the elimination of dairy, wheat and/or animal proteins when necessary, and the benefits of nutritional supplementation. In other words, they choose food and nutrients as their medicine. When it comes to the Canadian history of holistic nutrition, David Rowland is most notable. In 1983 he founded the first school in Canada dedicated to teaching holistic nutrition. It was called the Canadian Nutrition Institute. David Rowland says that after a serious health crisis and process of recovery in 1975 he chose to take control of his own health by studying alternative therapies. This started with a Chartered Herbalist diploma from Dominion Herbal College in B.C., and then continued with extensive reading, self study and regularly attending the annual Total Health Conventions in Toronto and the NHF conventions in the U.S. He refers to important speakers such as Linus Pauling, Broda Barnes, Richard Passmore, Ralph Moss, Jan DeVries and Lendon Smith. In helping himself to better health, he discovered his passion for helping others to do the same and realized that he could create a new career path for himself that others could also follow and coined the title “Nutritional Consultant”. By 1983 he developed curriculum for his school and delivered it via correspondence from his home in Uxbridge, Ontario. It is David Rowland’s school, The Canadian Nutrition Institute, that produces two graduates who start two more schools in Canada. Then later, in 1996, David Rowland closes his first school and launches another school called the Edison Institute and, although he is no longer directing the school, he remains as Education Advisor today. In the late 70’s another contributor enters the scene, Irene Yaychuk-Arabei, ROHP. Her story is similar to many other holistic health practitioners when they describe their reasons for looking into alternatives and finding their way. She too experienced serious health challenges at the age of 20 from a Judo accident where she broke her collar bone. Surgery, post-operative bone infections, and more surgeries forced Yaychuk-Arabei to take antibiotics for almost a full year. The resulting health challenges left her searching for solutions. Finally, after taking the advice of her mother, who had some knowledge of herbs, Yaychuk-Arabei, like Rowland, took the long-distance course from Dominion Herbal College. This led to further studies in Reflexology, Chinese Medicine and courses from anyone that was teaching alternative health. Yaychuk-Arabei refers to people like Pavo Airola, Dr. Christopher, Dr. Lendon Smith and Michael Tierra as some of her teachers. Yaychuk-Arabei recalls the early days as, “….such an eye opener to holistic healing”. She refers to two individuals who were the greatest influence in her holistic nutrition career, Dr. Donsbach and David Rowland. “They were ahead of their time and inspired me to continue.” She remembers when David Rowland started a Canadian supplement company and The Canadian Nutrition Institute. In fact, she was a student of that school and was at one of David Rowland’s weekend courses when he spearheaded the idea of a new industry dedicated to holistic nutrition. It was on that day in 1983, when Rowland and his students formed a group that later became the first association representing nutritional consultants in Canada called the Nutritional Consultants Organization of Canada (NCOC). Then in 1986 David Rowland went even further to create a registry of Registered Nutritional Consultants. It is the NCOC that later became the International Organization of Nutritional Consultants (IONC) in 2004. The IONC still exists today and Irene Yaychuk-Arabei is still the president. When I asked Yaychuk-Arabei what people in the industry called themselves in the 70’s and 80’s she says that everyone had different names because there was no organization or accountability. The simple title of Nutritionist was the most common and many learned their profession from multi-level herbal or supplement companies and/or through taking individual courses. There was no identifiable industry outside of the individuals who took courses. Chiropractors were the main nutritionists of that time and there were a limited number of supplement companies, none of which were owned by pharmaceutical companies as many of them are today. It was this lack of identity that was one of the founding reasons for an association. Since the inception of the first holistic nutrition school by David Rowland and the NCOC in 1983 the industry has grown in leaps and bounds. Two other associations have emerged, many nutritional schools have popped up and many more nutraceutical companies have come on the scene. In fact, Yaychuk-Arabei says “Every health profession wants a piece of the holistic nutrition consulting pie. Even Nurse Practitioners can prescribe supplements.” At the time of this article, even Health Canada has stepped in to manage our nutritional supplements. When this author considers the future of holistic nutrition in Canada, I believe it has a great future. People want more, they want optimum wellness and they want to learn how create it. I have always believed that everyone has a right to wellness and it is up to Holistic Nutritionists to keep it within the public’s reach, so here’s to another 35 years! Join me for my next article on Holistic Nutrition on an international scale: How are other countries growing in this field? Note: Anyone who would like to add to the history of Holistic Nutrition in Canada is welcome to send me your story or the story of someone you think should be included in this article. I hope that this article will evolve as our industry grows.